When you hear the words “online auction”, what comes to mind? For many of us, this term rose to fame back in the late 1990s when e-commerce site eBay revolutionized the world wide web and introduced its auction-style listings. These days, you can purchase just about anything from the Internet – properties included! Online property auctions have been in existence for a while now, mostly in western countries such as the United States or the United Kingdom. 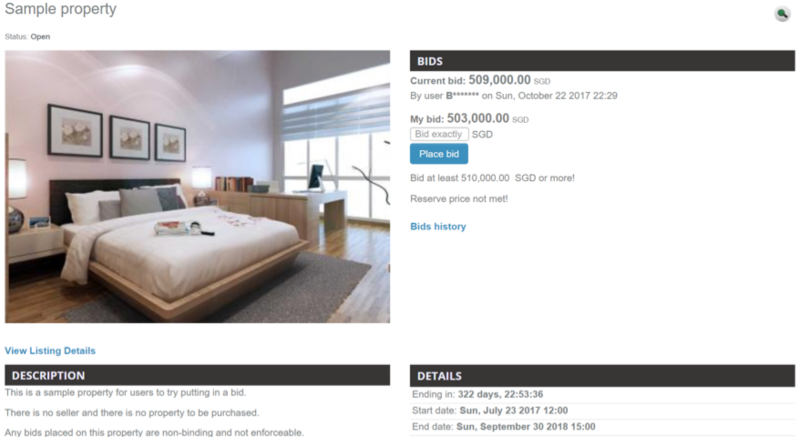 However, Singapore is now home to online property auctions too. 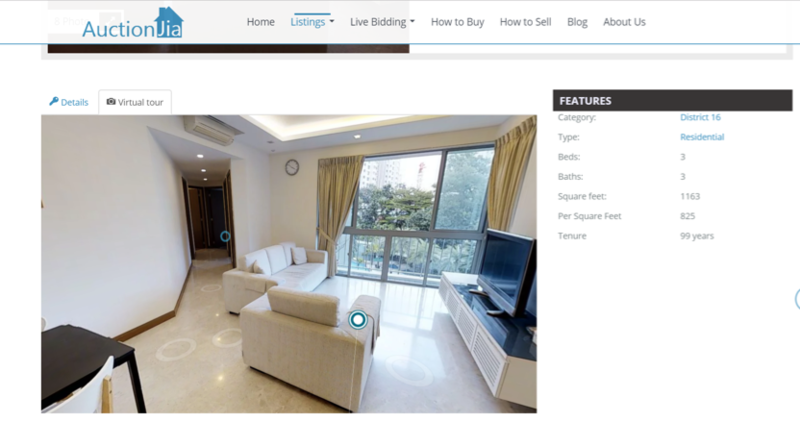 Enter Auctionjia – Singapore’s first online property auction platform where users are able to join in a property auction in the comfort of their own home, no physical presence required! In December, we spoke with the team behind Auctionjia to gain more insight more about online property auctions, as well as learn how the platform can benefit both buyers and sellers alike. The Redbrick Team (RB): What is Auctionjia? The Auctionjia Team (AJ): Auctionjia is a licensed real estate agency that combines an online auction platform with dedicated salespersons. Through online property auctions, we sell your property faster, in a transparent and cost effective manner. RB: How do online auctions work? AJ: We have exclusive mandates by sellers to put up their property for auction. The auction is conducted online at www.auctionjia.com.sg. Buyers can view the auctions and submit their bids online. At the end of the auction, if the reserve price is met, the property is sold to the highest bidder. RB: What is the process like for buyers? AJ: For buyers, the first step is to register online. Next, at one of our scheduled open house, buyers will need to sign a Bidding Agreement. This is a one-time process, to verify buyers and ensure that all bids are genuine and contractually binding. Before the start of the auction, the seller will prepare a Conditions of Sale, which will be shared with the buyer for review. The online auction is typically conducted over a few days, and verified buyers can put in a bid any time before the auction ends. Buyers will automatically be informed via email when someone outbids them. 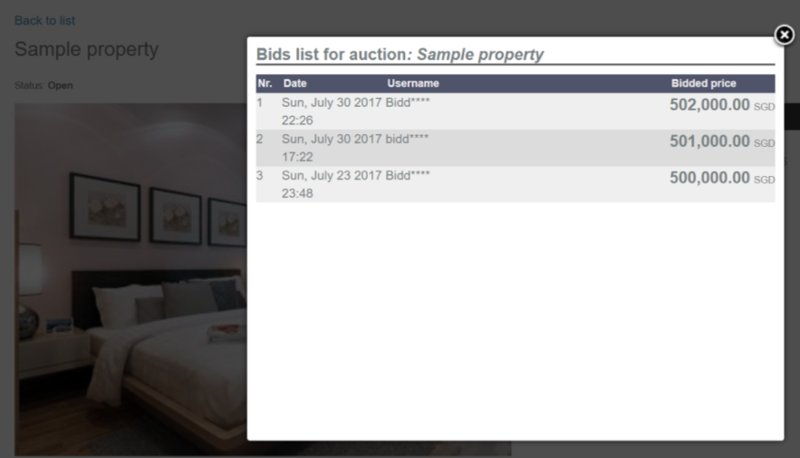 Registered users will also be able to view all competing bids, in the interest of transparency. Assuming the reserve price has been met, the successful bidder will be contacted by our agents to complete the Sale & Purchase Agreement. RB: How is the reserve price linked to the asking price? AJ: When we first market the property, sellers decide on the asking price with our agents’ input. We market the property for around one month, before launching the auction. Prior to the auction, we will provide feedback to the seller, who will then decide on the reserve price. In most situations, the reserve price will typically be lower than the asking price. 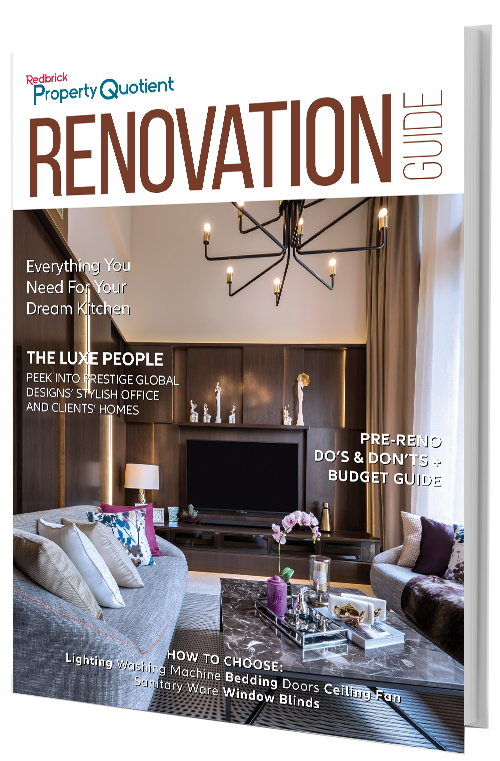 RB: How do online auctions differ from regular auctions? AJ: The process is the same as physical auctions, except that buyers can bid in the comfort of their home or office, instead of taking a day off from work to attend a weekday auction in a small hotel room. 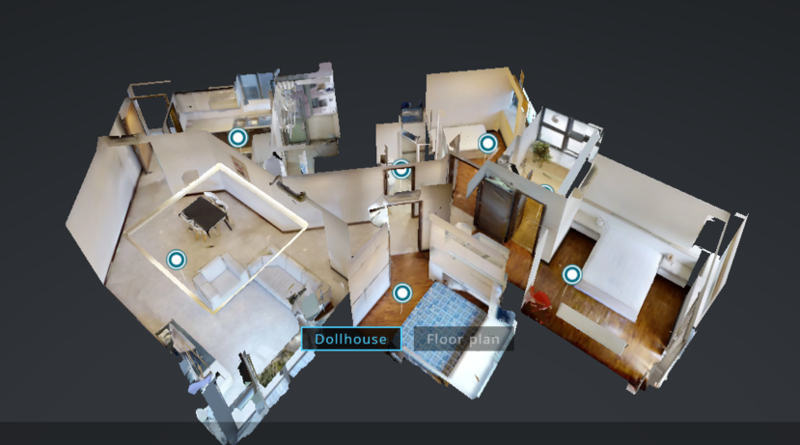 We also provide a free next-generation 3D virtual tour for all our properties. This is similar to Google Maps’ Street View, but an indoor version, where you can walk through the property and get a realistic sense of the space. We think it is a major improvement over the typical 360 degree photos available in Singapore. Do check it out on our website and try it for yourself! RB: What are some of the advantages and disadvantages of online auctions? AJ: For buyers, they are able to focus on properties with genuine sellers. Sellers have contractually pre-agreed to sell to the winning bidder in an auction, and are not there to “test market”. In addition, we improve transparency by allowing buyers to see all competing bids. If you spot a property with a low price, why not put in a bid? Our platform is absolutely free for buyers. In terms of disadvantages, property auctions typically have a short timeline which may make it seem stressful. As the winning bid is a legal commitment, buyers need to do their homework prior to the auction, to ensure that bank financing is not an issue. Legal documents are also available for review before the auction. RB: Why should sellers use an online platform like Auctionjia as compared to other agents or DIY websites? AJ: Auctionjia is not just an online platform, we are a licensed real estate agency with an online platform. We have dedicated in-house agents, who meet the sellers, organise openhouse and advise sellers on their asking price and reserve price. For sellers, auctions are a quick and effective way to sell their properties, compared to private treaty which can drag for a long time. It creates a sense of urgency for buyers to put in bids, rather than wait on the sidelines. It also solves the question of “are there better offers out there?” whenever sellers get an offer. Sellers benefit from the transparency to see all bids, which ensures that higher bids from co-broke agents are not unfairly treated. In addition, at Auctionjia we provide sellers with a full suite of online and offline marketing, including the major property listing portals, Facebook sponsored posts where certain houses have reached in excess of 10,000 viewers, and email marketing to a list of interested home buyers. RB: How much do you charge sellers? AJ: Our standard fees are 1.0%, although we sometimes have promotional rates for certain properties on our website. Do check out our seller FAQ for details www.auctionjia.com.sg/seller-faq. We hope that over time, our efficient auction platform will allow us to pass on substantial savings to sellers. RB: What steps are taken to ensure buyers are genuine? AJ: We meet all buyers to verify their identity, and all buyers sign a Bidding Agreement, which helps to ensure genuine bids. RB: What happens if someone decides to back out of an auction? AJ: All bids are contractually binding, and buyers are required to purchase the property if they are the winning bidder. In the unfortunate event where a winning bidder fails to fulfil his legal obligation, we have sufficient legal remedies in place to protect the seller. RB: How big is the team at Auctionjia? AJ: At the moment, we have a few full-time agents, with up to 15 years of experience in the industry. We look forward to growing the team as we scale the business, especially as we ramp up our social media and digital marketing efforts. RB: What was the team doing prior to setting up Auctionjia? AJ: Our co-founders have been deeply involved in the real estate industry. Our experiences include institutional real estate investments, real estate investment banking, commercial banking, private banking, KEO of an estate agency, and division director managing a team of agents. RB: How did you come up with the idea of an online property auction? AJ: Our co-founder was looking to purchase his first home, and realised that the process of searching through property listing websites was highly ineffective, with fake listings and sellers who were just testing the market. Looking for undervalued properties, he participated in a number of property auctions and realised it was an efficient method, but could be improved further in today’s digital economy. RB: Where do you see Auctionjia in the property auction industry in 5 years’ time? AJ: In some markets like Australia, a large proportion of houses are actually sold via property auctions. In Singapore, while auctions account for a small fraction of property transactions today, we hope to make property auctions an attractive alternative to buyers and sellers. In addition, property transactions are starting to move online globally, with the growth of online real estate marketplaces like Auction.com in the US, and online estate agents like Purplebricks in the UK. 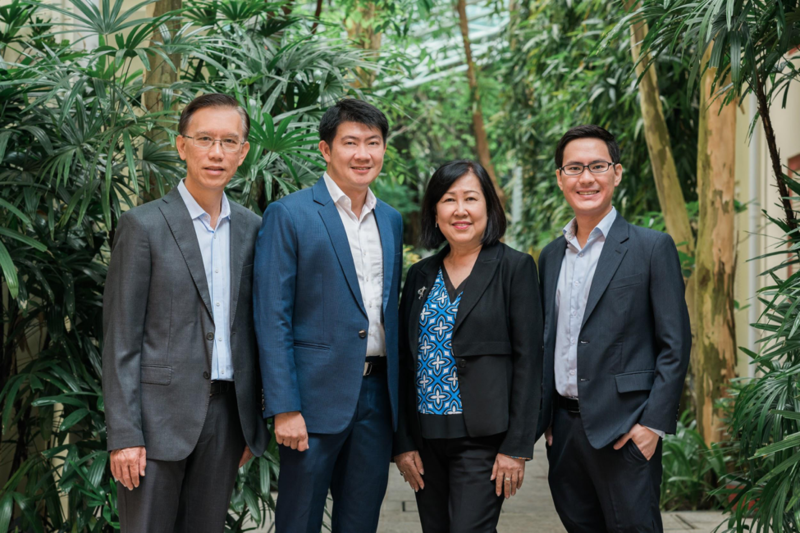 With Singapore’s Smart Nation initiative, we are proud to play a part in the ongoing digital transformation of real estate agencies. Should you be keen to find out more or even take part in an online property auction yourself, look out for Auctionjia’s auction listings in our monthly auction lists! 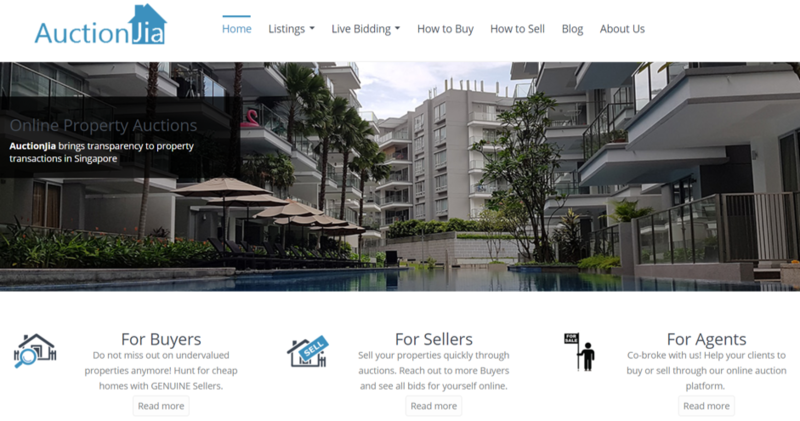 The post Conversations with: Auctionjia – Singapore’s first online property auction platform appeared first on Redbrick Mortgage Advisory.